Wine has slowly edged its way into the average Indian dining experience and a growing tribe of people take the trouble to understand wine and its pairing. There is a demand for Indian and International wines in equal measure these days. 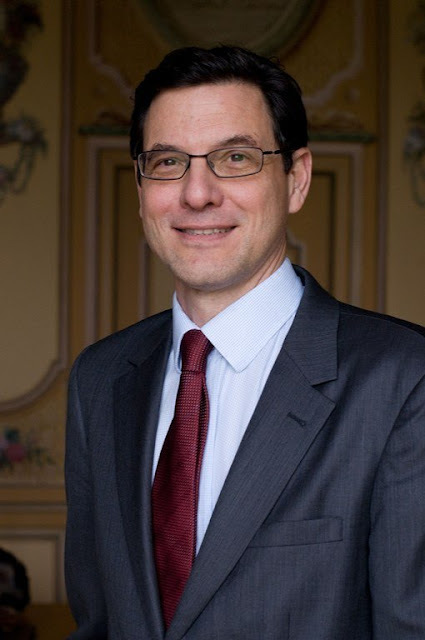 So naturally when Micheal Negrier, Export Director, from the prestigious House of Domaines Barons de Rothschild' came down to Bangalore recently I thought it would be fitting to interview him for this column. Domaines Barons de Rothschild (Lafite) have always made excellent wine-making and savoir-vivre an integral part of their legacy since 1868. Their aim has been to work towards producing the finest wines possible making them one of the most coveted premium wines in the world. 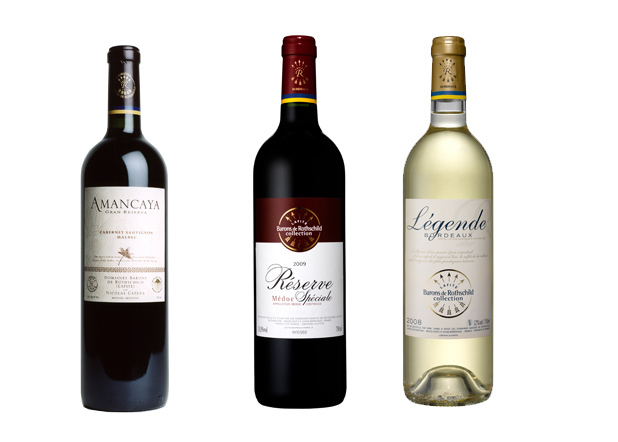 Their top wines include those from the Bordeaux region of France, that is one of the oldest wine making regions in the world and these are now available in over 100 countries worldwide, including India, where they are imported exclusively by Aspri Spirits Pvt. Ltd.
Why will Bordeaux always be the single best place in the world for the creation of wine? Bordeaux is among the top places in the world but, not the single place to make great wine; great wines can be produced in many regions depending on the quality of their terroir, great attention and rigor that goes into all the details in the process of the wine-making and passion of the team to produce great quality. It is true that in Bordeaux many Chateaux enjoy high reputation because they combine all these characteristics. How do you perceive the Indian wine market considering that open advertising of alcohol and wine is prohibited? Has word of mouth done the job? Considering that Bangalore has recently opened its arms to food and wine pairing as well as appreciation what is your perception of the wine audience in the city. Bangalore is a pleasant city, dynamic, with a good climate and restaurants now offer a wider choice of wine on their list, from India or from abroad. There is a growing category of customers interested by wine and food matching. It is a promising trend for the future. Wine has always had an elitist image attached to it. Perhaps it’s the pricing… is it really for a niche crowd. In the history of wine market development globally, long term trends show that wine gradually move from an initial elite image and niche consumption to an enlarged consumer base when prices are lowered and supply and distribution grow. In India we think it will be the same in the future. For someone dabbling in wines for the first time, what would be the three labels you recommend and why? 3. A good discovery of another great region is Argentina, I would recommend CARO 2009 , aromas of mint and cedar ,the bouquet fills out with vanilla and mocha. Aged in French oak it is a great blend of Malbec and Cabernet Sauvignon. Deep, aromatic and complex mouthfeel with a long finish. What are your thoughts on Indian wines? The Indian wine brands are helping the consumer to discover and get familiarized with wine and educate their palate. As they are sold at a lower price for tax and duty reason and their quality have improved, they become more popular and we think this is a good trend. Little by little the customers will discover wines from other countries and open their repertoire to other part of the world. How does the market need to evolve in order for wines to make better headway in the country – governmental or even individual levels. If the governments help lower some duties of the imported wines and if also there is more harmony between the legislation of the different provinces, this will help greatly the market to grow. In terms of distribution, new wine shops, new malls with wine shops and new restaurants openings serving wines will also grow the market, offering new opportunities for the potential customer to taste or to buy wines.